The entire race management team from previous regattas will return. Led by FYC Race Officers Ryan Richards, Rob Richards, and Mike O'Connor, head sailing coach at Harvard University, you can expect the Race Management team to provide an on-the-water experience of the highest quality. 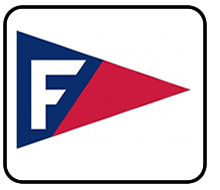 Once again, the FR will use RegattaNetworks for online registration and scoring. You can follow the links below to complete your registration quickly and easily. A limited amount of private housing is available on a first-come/first serve basis. If you want housing, you MUST submit a completed Housing Request Form. The form is avalable HERE. Click HERE to identify other lodging opportunities in Falmouth. Falmouth Yacht Club will provide breakfast, lunch and a pizza party to skippers and crews on Saturday, and breakfast, lunch and a cookout on Sunday at no additional charge. Racing will begin Saturday morning, so we strongly recommend that you plan to arrive in Falmouth on Friday. If you are coming from off-Cape, we recommend that you plan to arrive before 3:00 pm to avoid traffic delays at the bridges. The Check-In desk will be open from 1200 until 1800 on Friday, and FYC volunteers will be on duty to provide assistance. The Check-In desk will also be open Saturday morning. All visiting boats must be stored on the FYC beach. Please be careful not to encroach on the beach of the neighboring Tides Motel. Vehicle parking at FYC is limited to members only. Non-member vehicles parked in FYC parking spots may be towed at owners' expense. A small number of public parking spaces are available along the Falmouth Inner Harbor channel. Additional street parking is available on Deacon’s Path, just north of FYC. Offsite trailer storage will be available at no charge for those who need it. Click HERE for a map of street parking. Storage for 420 trailers is available at the Morse Pond School, 323 Jones Road, about 5 minutes from FYC. Although we have used this storage area many times in past years and we are not aware of any trailer problems, this storage area is unsecured and open to the public and you use this storage area at your own risk. Click HERE for a map of the trailer storage area. Trailer launching of spectator boats and coaching boats is available at no charge at several public launching ramps in Falmouth. The nearest public ramp is on Falmouth Inner Harbor, just a few minutes from FYC. Trailer parking is permitted, but overnight parking is not. For more information on launching ramps, go to one of the following websites. FYC will provide overnight docking or moorings for visiting spectator boats and coaching boats on a first-come-first-served basis. Access to the loading area will be controlled by FYC volunteers. Please de-rig your boat completely and make it ready to load before notifying the traffic director that you are ready to load your trailer. The traffic director will notify you when you may bring your trailer to the loading area. When the trailer is loaded, it must leave the area immediately. If you want to avoid the haulout crowd at FYC, you may also sail your boat to the public launching ramp and haul it there. However, sailors must avoid commercial traffic in the Falmouth Inner Harbor if they choose to take advantage of this haulout option.